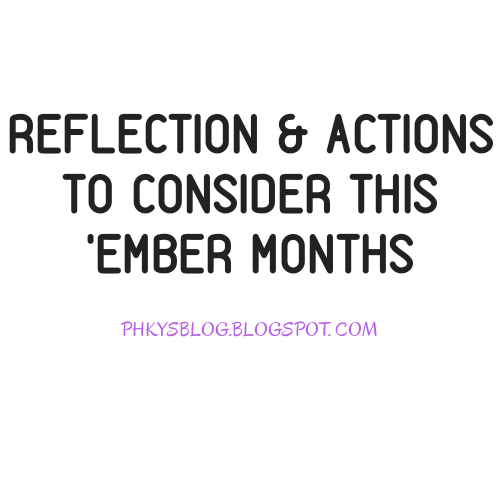 Ember months reminds me how close we are to the end of the year. In the light of this I decided to REFLECT AND ACT on some certain things before the year runs out. It's a bit lengthy, just take whichever applies to you and also share this piece with anyone you feel needs or might need it. Nine months into a year is no Joke. Take Stock. Ask yourself, What worked? What didn't? Where did I win? Where did I grow? Who did I meet? What did I accomplish? What mistakes did I make? and so on. Give Thanks. Thanksgiving and a grateful heart, both to God and men, are the most powerful ways to close any season on a high note. Its like a Detox, heals you, cleanses you and Gifts you. Seek feedback. Be humble to ask for the thoughts of the authentic people in your life on areas you have grown and where you can improve. Revisit Dreams. If there were things you longed to do or become in the year, look through them again. Be very thankful for those that have happened but no regrets about those that didn't. Mend Fences. Seek by the help of God to understand the relationships in your life, heal the weakened ones and consolidate new exciting partnerships. If you shut some doors in wisdom leave them shut but if you banged the door too loud, soothe that ache. Check for Patterns. If they were recurring situations, victories, mistakes, failures of opportunities, check for the underlying patterns and the root factors. To perpetuate a good thing or to stop a negative flow, you must know why and how it happens. No Carry Overs. Forgive every offence, rise over your frustration, quit trading blames and go after healing if you're hurting. Some wounds heal slower because they are deep. If you are in that place, I say a word of prayer for you. Pray. Accurate praying that is praying with the Word, is the surest way to set yourself up for the supernatural. Sit with Scriptures, and let the light of the spirit shine on your heart, then rise to pray with scriptures and thoughts impressed upon your heart. Pray a lot, pray often. Pray. Write. Expect inspiration to come to you in your solitude and times of praying. Write what you sense or what comes to your heart. Write your audacious dreams, big ideas and plans. Settle your Debts. If you owe, pay. Recall small bills here and there, pay up. If you don't have the resources yet, speak to the one you owe, and express your commitment to pay. Fast and Meditate. People overeat at festive seasons. Be mindful. Keep your diet clean and lean while your spirit rises in strength and clarity.Be sharp. Hangout with Thinkers. Spend time with the top 2% of your friends. The thinkers, the influencers, the doers, the changers...ensure it happens. Pay for the food or better still invite them over and have a mini cookout. Then charge your mind. Elevate your vision. If you don't have such friends (I advise you get one oh) attend an event that will do the same for you. Set Goals. Nothing serious at this level. Just picture goals about your tallest plans for the coming year. Have a Sleep Surge.If you are overworked and haven't had good rest in a while ...take a day off to sleep. Chill out, sleep off and wake strong. If you have a vacation planned, better! Laugh. Let laughter find you. Open the door to fun. And you can create that luxury right at home. Laughter will ventilate your soul, making you see, hear interpret things better. There are lots of funny videos online, watch it and enjoy. Be at Peace. Regardless of how the year has been so far, you can rise further, aim higher, get better and win bigger. Great list Victoria. It is hard to add to this list. Just take action on what is already there. Thank you for sharing. 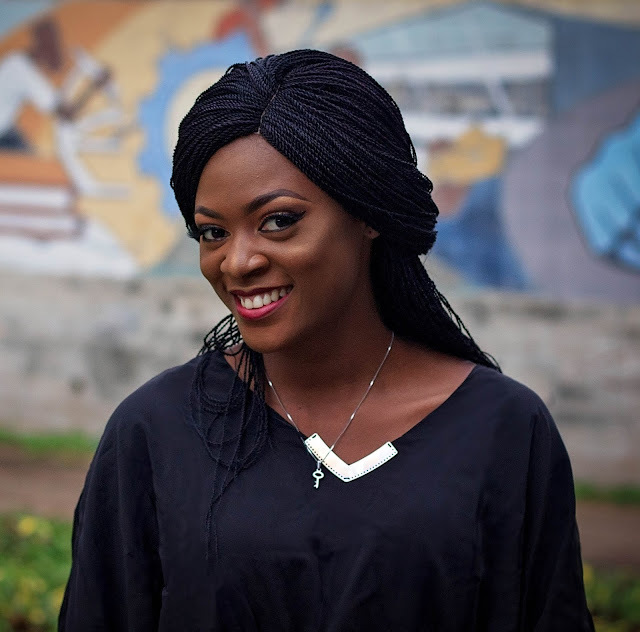 Thank you Temitope. So good to read from you again and like you said "just take action on what's there already. Taking one, two, three into consideration and act on them. The list is just a beautiful encapsulation.